Be the first to share your favorite memory, photo or story of Monty. This memorial page is dedicated for family, friends and future generations to celebrate the life of their loved one. 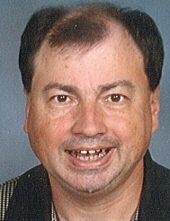 Monty R. Hawkins, 55, of Newberry, died on January 22 at his residence. He was born on August 30, 1963 in Prosperity, a son of Peggie Minick Hawkins Bickley and the late Reuben Hawkins. Monty was a member of St. Luke’s Lutheran Church and was a devoted USC Gamecock fan. He is survived by his parents, Alan and Peggie Bickley of Newberry; brothers, Tony Bickley (Melissa) and Donnie Hawkins all of Newberry; nephew, Jonathan Bickley and nieces, Kirsten Bickley and Hayley Hawkins. In addition to his birth father, Monty was predeceased by his sister, Tonya C. Bickley and his grandparents, Mr. and Mrs. LeGrand Minick, Mr. and Mrs. Colin Hawkins, and Mr. and Mrs. Lloyd Bickley. The family will receive friends from 5:00 – 7:00 PM on Thursday, January 24 at the Whitaker Funeral Home in Newberry. Funeral services will be held at 2:00 PM on Friday, January 25 at St. Luke's Lutheran Church in Prosperity conducted by the Rev. Jason Shafer and the Rev. Bobby Morris. Interment will follow in the church cemetery. The family suggests memorials be sent to the Rose Brandt Scholarship Fund at St. Luke's Lutheran Church, 4056 St. Luke's Church Road, Prosperity, SC 29127. Memories and condolences may be sent to the family at www.whitakerfuneralhome.com. "Email Address" would like to share the life celebration of Monty Reuben Hawkins. Click on the "link" to go to share a favorite memory or leave a condolence message for the family.